The winner will receive $6,000 from Canada Council for the Arts, a two-week writing residency at the Banff Centre for Arts and Creativity and will have their work published on CBC Books. 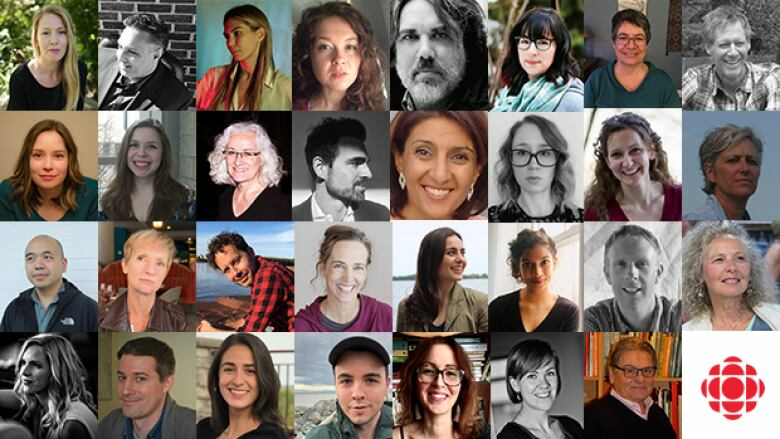 31 writers from across Canada have been longlisted for the 2019 CBC Short Story Prize. The longlist was selected from more than 3,000 English-language submissions. A team of writers and editors from across Canada compiled the list. Five finalists will be selected by the jury, which is comprised of Esi Edugyan, Iain Reid and Lisa Moore. The jury will also select the winner. The shortlist will be announced on April 17 and the winner will be announced April 24. The winner of the 2019 CBC Short Story Prize will receive $6,000 from the Canada Council for the Arts, attend a two-week writing residency at the Banff Centre for Arts and Creativity and have their story published on CBC Books. Four finalists will each receive $1,000 from the Canada Council for the Arts and will have their story published on CBC Books. The longlist for the French-language competition has also been revealed. To read more, go to the Prix de la nouvelle Radio-Canada. The winner of the 2018 CBC Short Story Prize was Leah Mol for Lipstick Day. If you're a writer, you can join our Canada Writes Facebook group, a place where Canadian writers can connect and support each other. If you're interested in entering the CBC Literary Prizes, the 2019 CBC Poetry Prize is now open. The 2020 CBC Short Story Prize will open in September and the 2020 CBC Nonfiction Prize will open in January.